“No...no..no..no adjournment…Take instructions or file affidavits.. whatever you want.. but today itself..not another day.. you come at 2 or 4 today itself. This is such an old matter we cannot keep it pending like this. Let us finish it off”. 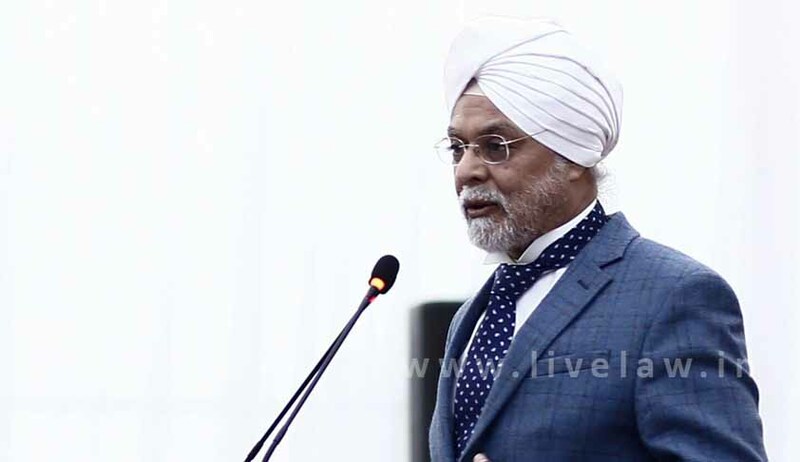 Lawyers regular to court number one of the Supreme Court these days are very familiar with this angry retort of the Chief Justice Jagdish Singh Khehar the moment any lawyer requests for an adjournment in the first session. He is more tougher with central or state government counsels telling them “government counsels will not get any adjournments. They are the biggest culprits of delay tactics. We are going to impose heavy costs when government seeks adjournment. Threats of heavy costs have also been issued to those filing “frivolous” public interest litigatioins. The new CJI has made it amply clear and is clear cut on it. He has declared a war against the pendency in the Supreme Court. Though he has just a short tenure of eight months in office and may not be able to do much about the overall pendency in the country due to paucity of time, he is determined to at least drastically bring down the case backlog in the apex court which now stands at a staggering 61,000 cases. On January 19 he said it in so many words when an apprehensive lawyer mentioned his matter and urged that it should not get deleted from the list before it is heard. The apex court is on a fast track to dispose off old cases and listed matters will not get deleted, CJI Khehar told him. “We all are on the fast track. Don't worry, the matter will not be deleted from the list. We will take it up”, the CJI said. When another lawyer wanted early hearing of his matter which required breaking of the present sitting combination of judges as per the new roaster, the CJI reacted sharply, saying sorry, we cannot break two benches. “We are changing fast. We are disposing of old matters and breaking two benches will delay the matters further. We cannot afford that. We suggest that we list the matter for Monday or Friday after lunch. If you have a better suggestion, then tell us. As averred by Advocate Namit Saxena in his article published in Live Law immediately after Justice Khehar’s appointment as CJI, Justice Khehar has inserted few procedural changes in the Supreme Court. The Supreme Court from January 16 is not observing the concept of ‘Non-Miscellaneous Day’, popularly termed as NMD in lawyer’s corridors. The Supreme Court works for 5 days a week with Monday and Friday dedicated to fresh matters and are known as Miscellaneous Days. This has not remained flexible and has fluctuated as per the CJI. Tuesdays have generally been observed as NMDs wherein after notice/adjourned matters are listed for hearing. Wednesdays and Thursdays have been generally designated for matters listed for final disposal. Justice Khehar has now done away with the concept of an NMD and on all 3 days regular matters will be heard. From now on, an Advance List of Fresh Matters to’ be listed on Monday and Friday shall be uploaded on the Supreme Court Website on every Tuesday and Friday. Justice Khehar has also re-introduced the Social Justice Bench comprising of Justices Lokur and UULalit which will sit at 2 pm on every Friday and hear PILs and other related matters including environmental matters. Pertinent to note that as per the Supreme Court Rules, 2013, and Article 145 of the Constitution, the CJI is the administrative head of the judiciary and has ample powers to introduce or delete many procedural methods. In a welcome move at the bar, due to deletion of NMDs, it is hoped that the regular matters will be heard and disposed of quickly reducing the backlog and pendency on the Supreme Court.